Candy Fair is here! I am so excited to be a part of it! I have created 3 brand new event exclusive sets to share! 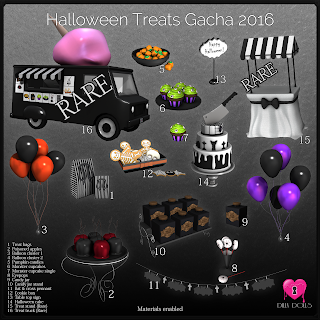 First up, the Halloween Treats gacha! I have never done a gacha before, where all of the items were different from one another. It was a very long process for me, but I enjoyed most of it! I think I will have to do more in the future! The set includes 2 rares, which can be seen in the demo area on the event sim. The truck rare is not drivable, but does have 4 static poses throughout the inside. Everything else is decor, many things that are essential for every Halloween party! Next, the Reese pumps! I made these a few months ago for a request that was made on Plurk, and decided to hold onto them until Candy Fair. They are available at my booth in either single colors, or a scripted version with all the customization options! And lastly, the Kharma heels are a free gift to anyone who would like them. 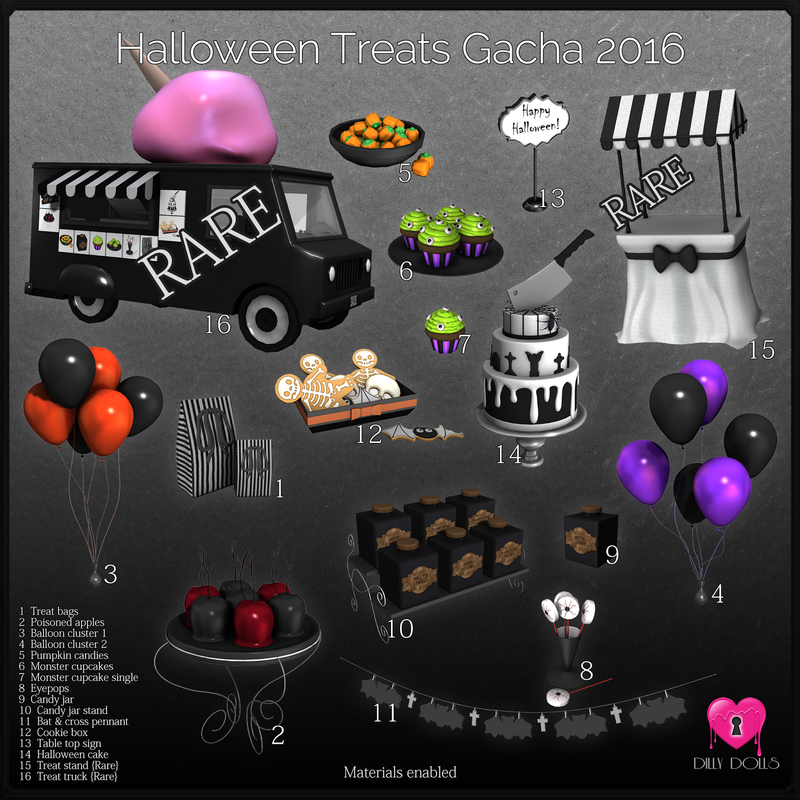 They can also be found at my booth, and come with 6 different Halloween texture options via HUD!